This tiny little store is filled with vintage kitchen stuff, especially old coffee grinder, aluminium molds and glass milk bottles. 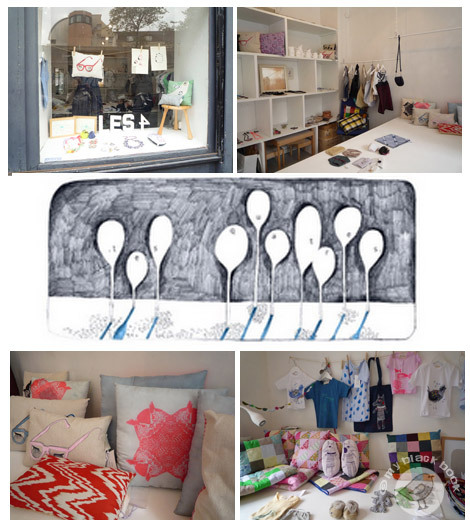 L’atelier LES QUATRES is about all a meeting place. Four creators are working together and share their know-how in illustration, fashion and design. There are a lot of unique handcrafted items like cushions, scarfs, purses, t-shirts, jewellery, childrens wear… all in an original and very funky design. The studio regularly metamorphoses its space for sales exhibitions. The store with this vintage inspired shop window is filled with treasures for home decorations and kids universe – a pure delight for your eyes. A palette of fancy and colorful items from French designers as well as Scandinavian and Japonese brands, the whole beautifully displayed. Plenty of gift ideas from Green Gate, Rice, Broste Copenhagen, etc. Feeling like Alice in Wonderland is what first came into my mind when entered this colorful store where the dominant color is rose. 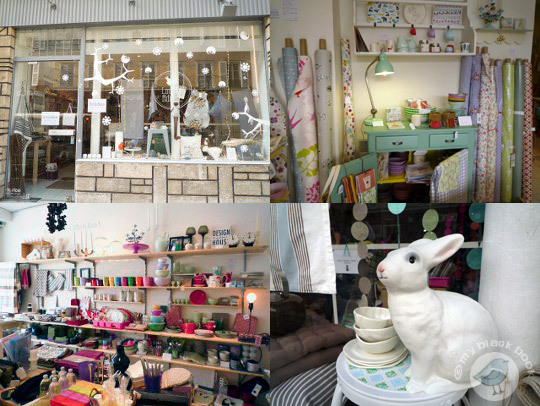 A large range of original items from stationery, jewellery, leather goods, home accessoires and funny stuff for nurseries are lovingly displayed in a spacious store. La Cocotte is a lovely fun foodie bookstore with tearoom, self-titled “librairie du goût”, nestled in the lively Faidherbe-Chaligny neighborhood in the 11th arrondissement. Art director Andrea Weiner and culinary stylist Rachel Khoo teamed up to create this successful and original concept store filled with all types of cookbooks and magazines in French, English and Japonese and a wide selection of textile creations for the kitchen as their cute pink teatowels in vichy pattern with the famous hen, symbol of the bookstore. There is also a large wooden table and two benches, open for tea and homemade pastries, or used for their cooking workshops for little ones. Check out their website for book launch parties and signings. 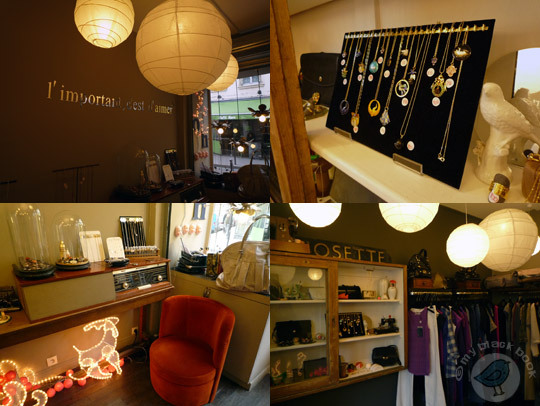 The store is a modern Aladdin’s cave with an industrial touch where lovely items are waiting to be discovered. 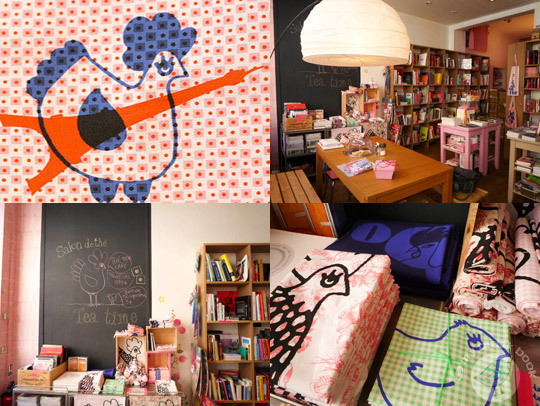 The store is filled with original little artworks to transform a kids room in a real fairy wonderland. 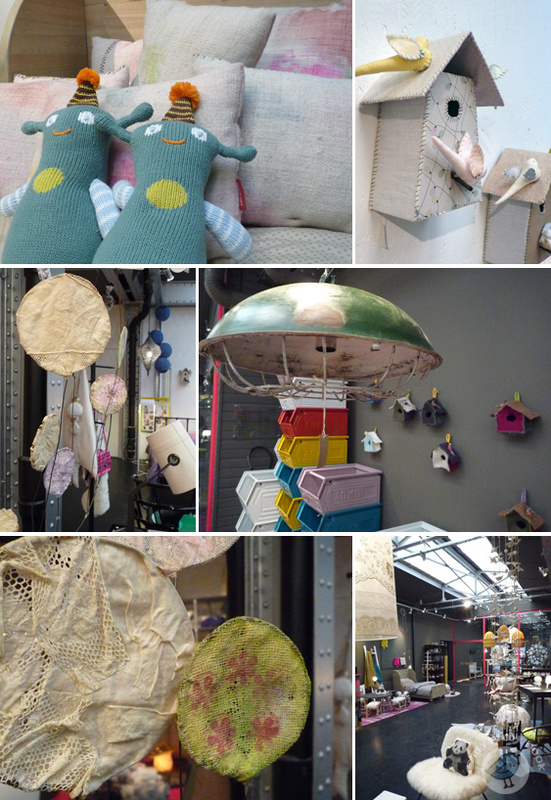 And not only kids will be enchanted about the lace lamps of Jeanne Notari, fabric owls and bird houses from Tamar Mogendorff, ceramic boards of French Designer Bis Morgen and much more other items that make hearts beat faster. 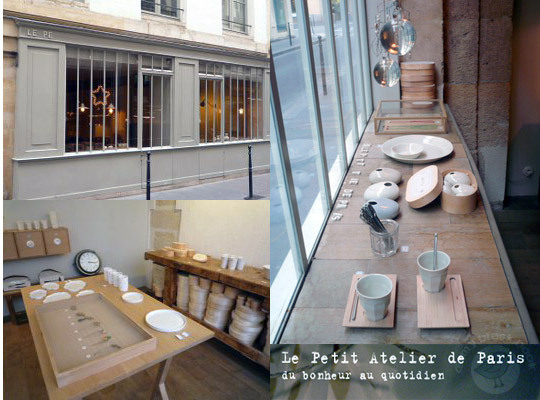 This little shop is a real gem, hidden behind the Bastille. Filled with fancy items that are hardly found in common stores, it’s the perfect place if you are looking for an original gift. 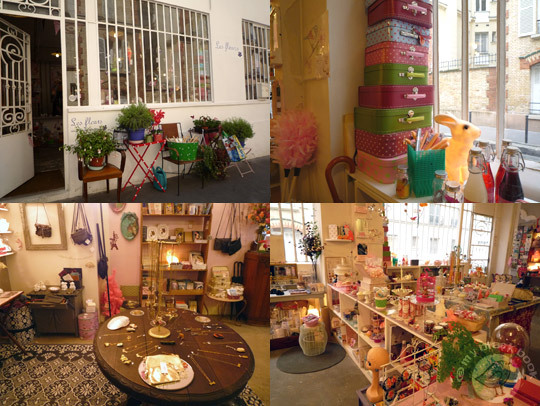 The store is a girly universe in a hint of pink with a retrochic ambiance and a lot of gadgets that delight little and upper ones like colourful tapes, Japanese bags and books, mugs etc. The world of Orla Kiely is one where colour, pattern, graphic control, texture and rhythm continually work and rework together. Orla has a unique, immediately recognisable design language, developed through graphic patterns that celebrate her optimistic spirit. As down-to-earth as her designs are popular, the key to what drives Orla is her fixation on the evolution of a signature style, devotion to quality and practicality. 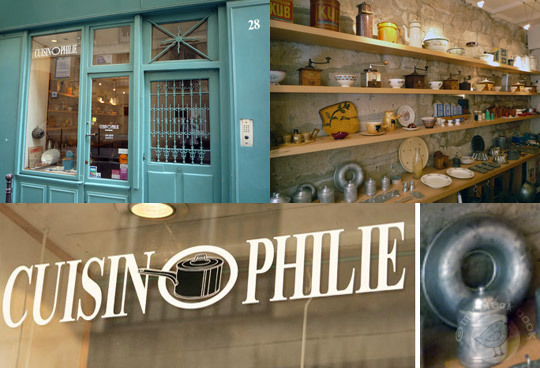 Founded by Serge Bensimon, the two-level shop has a changing selection of globally sourced tableware, decorative objects, cushions, lighting as well as furniture from all over the world. All these beautiful items are exposed in this wonderful home decoration store where it always smells so good (candles of the own brand). The store also propose clothes and beauty products. This store displays stationery and modern objects in a very pure and contemporary manner with a large selection of modern and original ballpoint pens, office accessoires as well as watches and leather bags. All the pieces of this jewellery designer are handmade with the greatest care in her Parisian studio. The jewellery designer Delphine Pariente exclusively creates unique pieces and very small series of rings, brooches, necklaces with pendants and earrings which are assembled with vintage finds. The story of her jewellery generally starts with a vintage heart piece from which she gets her inspiration for the final creation. 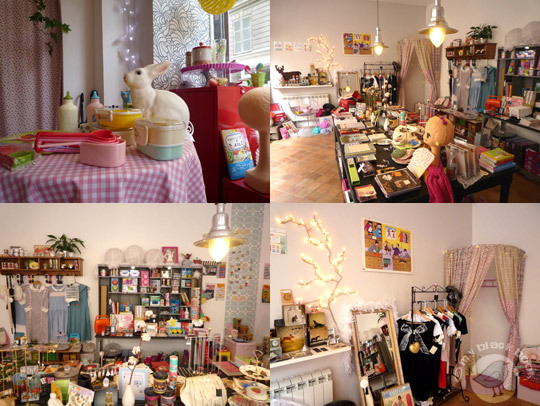 You can also find a selection of vintage clothes and bags with the same request selling only unique pieces. Trendy multi brand concept store which honors each season a new city through a selection of international fashion designers. A large selection of original clothes for men and women as well as accessoires. In this beautiful store you will find all kind of decoration for your house and garden, hidden in a large lovely decorated space. Since one week Paris has a ‘concept store’ like no other, a unique and innovative lifestyle place stuffed with good ideas, beautiful products and lots of generosity: MERCI. In this loft-style area of 1500 m2 dispersed on 3 floors, a storage building in former times, the Cohen fondation created a kind of charity shop emerged from a dream to participate in a philanthropic and ambitious project, all the profits will go to help deprived children in Madagascar. The layout is more reminiscent of a house than a department store blending contemporary design with second-hand items, fashion and vintage, a hardware section with an eclectic selection of everyday items from designers, oddities from all over the world and even a flower corner, a Used Book Café and a Cantina. Fashion addicts will find brands from trendy designers like Swildens or Forte Forte as well as Jérôme Dreyfuss and Isabel Marant. There is also a large range of objects customised especially for Merci. The space is amazing with concrete floors and changing rooms like huge closets, the choice is kittenish, crazy, kitschy, rustic and so human. Certains objects speak of the past, of poetry, of vanished worlds, of childhood and mysteries. This tiny vintage store in the Abbesses district is a real curiosity cabinet or a long-abandoned attic. The boutique is instantly engaging when stepping over the threshold, every object attracts you gaze and you will always find something to take home. After creating her collection for children, Judith Lacroix designed a women collection in an emblematic style of fresh colors and timeless prints. Far from stereotypes, her clothes reflet travel impressions from all over the world. Angel des Montagnes is founded on an appreciation of the way that mountains can lift the human heart and renew the simple pleasures of being alive. Made of the finest materials, the products of the brand are designed to be in harmony with the alpine spirit. Every item seeks to to express the passion for the mountain environment and the way of life it inspires, combining natural elements with a subtle blend of sophistication. Jardin d’Ulysse plays with shapes, styles, materials and colors to create a unique universe. Newly designed lines, modern shapes, recycled wood, metals, ceramic, raw fabrics or carefully selected essences are used to create modern living objects with a touch of retro. The brand reinvents the tradition with a poetic wink and an esthetic audacity. A contemporary creation, a blend of charme and French elegance as an inexhaustible source of inspiration for you interior garden.